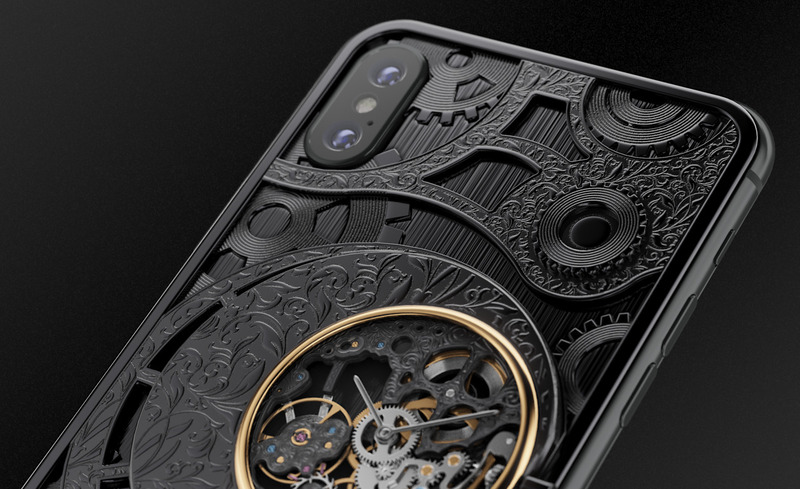 Grand Complications Skeleton Black Edition The black color as a synonym to elegance, relevance and the triumph of the perfect taste will never give its throne to anyone else. 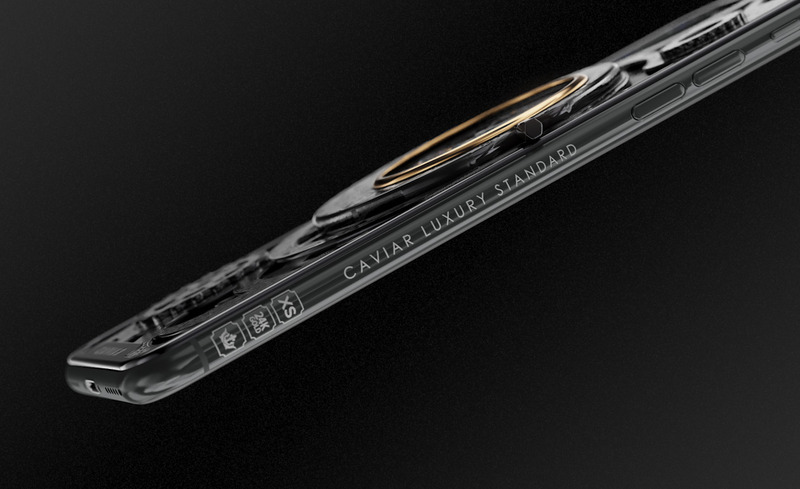 This is why Caviar designers address to it so often. 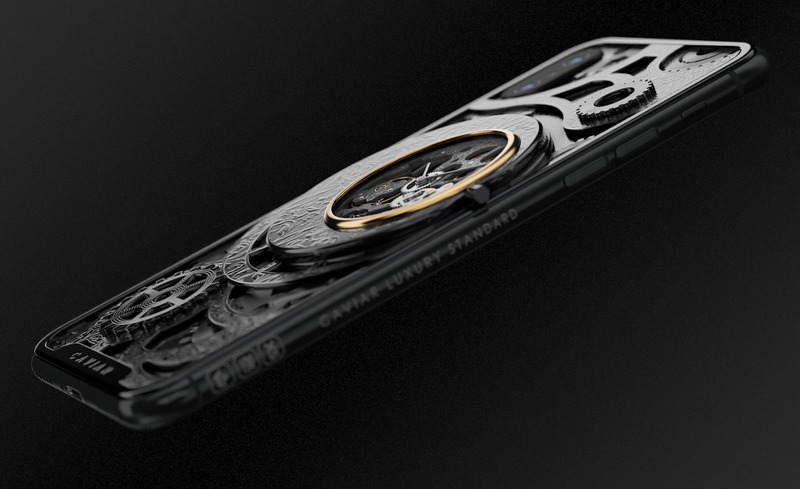 This time, the cult model — Grand Complications Skeleton – appears in the new image suggested by the majesty of black. 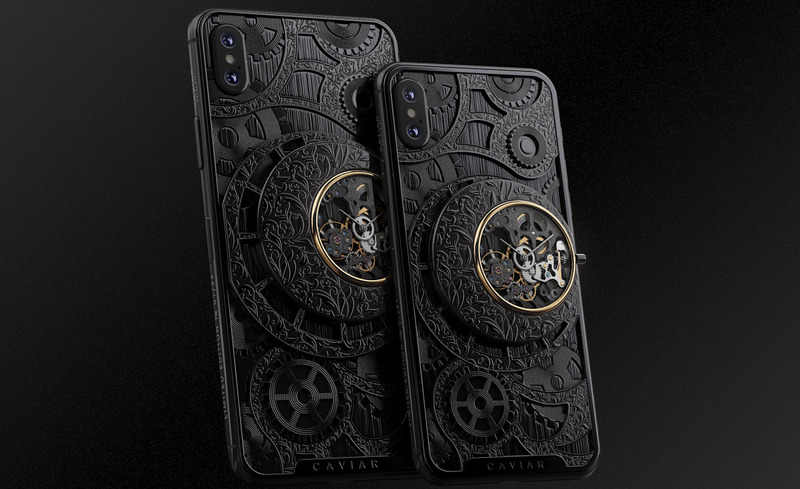 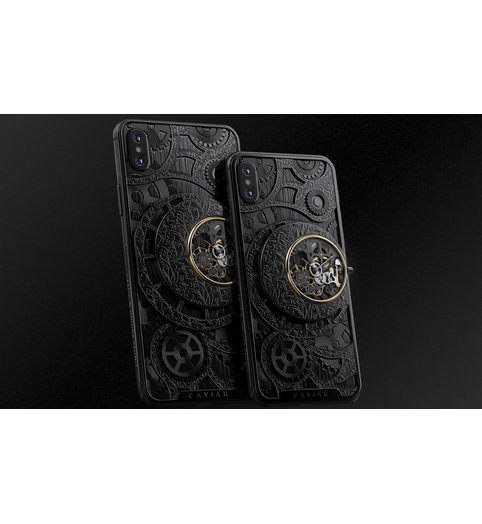 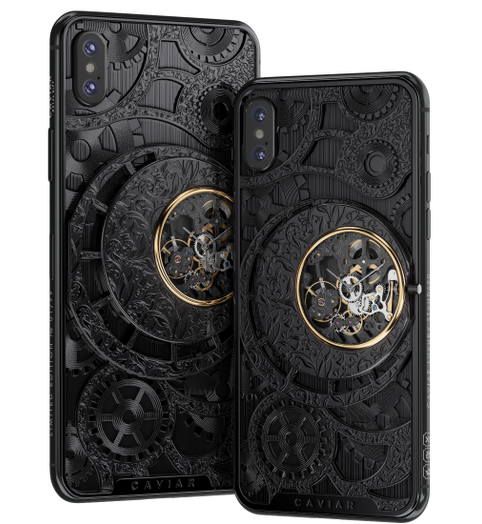 The complicated design of the smartphone, consisting of many figures repeating the image of gears and other elements of the clock mechanism is fully manufactured in black. 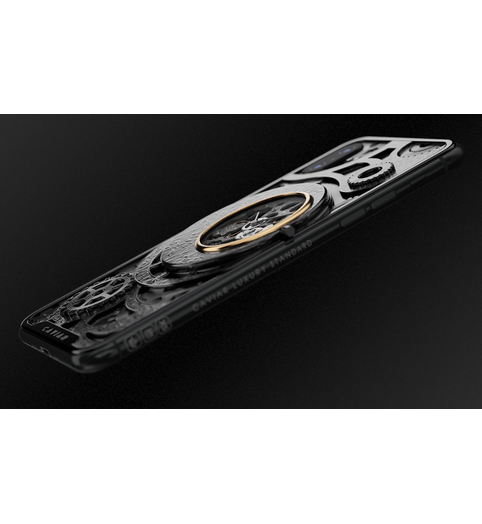 Only the clockwork mechanism that is open to views, shows up on the monochrome background. 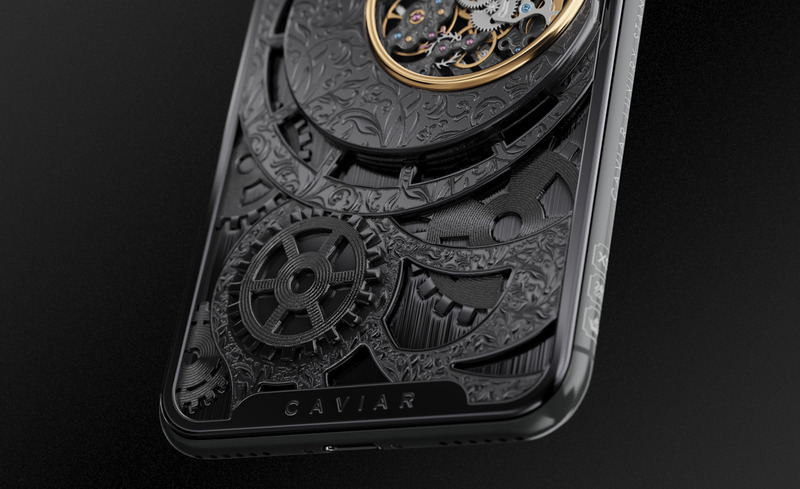 Such designers’ solution allowed, on the one hand, to make the image of the watch stricter and more modest, laconic, but on the other hand, it concentrated the attention to the maximum on the non-stop movement of the hands around the circle. 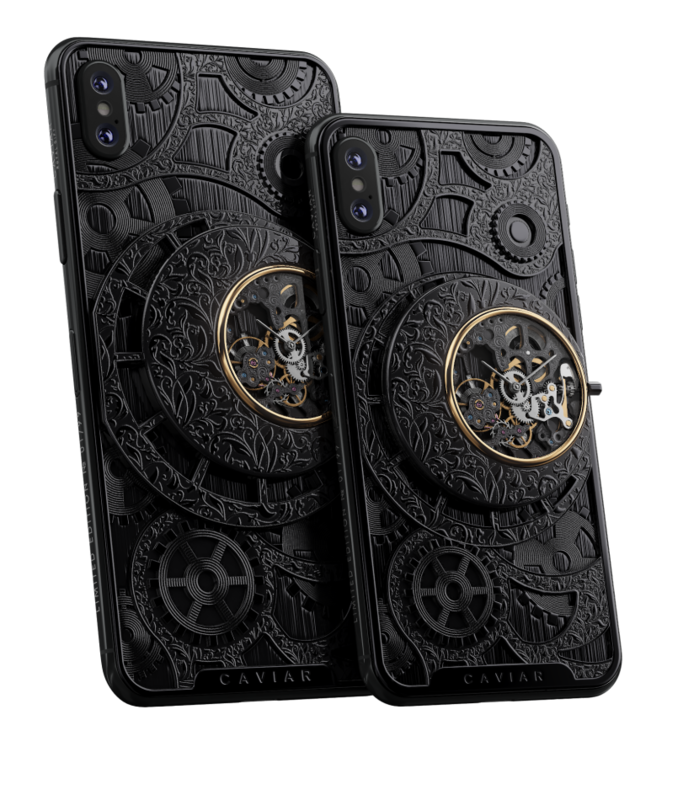 For those who address to the eternal solutions – the eternal postulates and values, this noble, strict design was created, where the time plays its solo coming from the mysterious and marvelous darkness to the foreground. 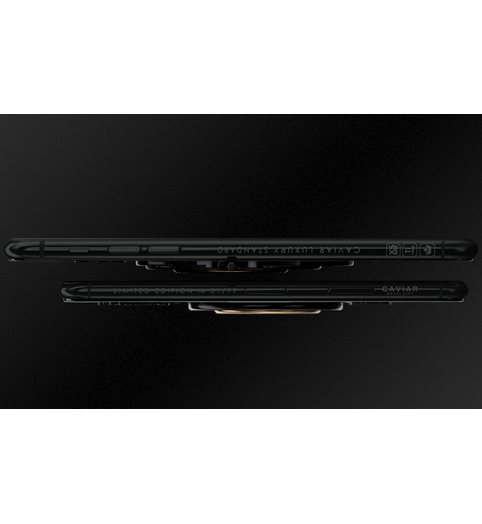 The black color as a synonym to elegance, relevance and the triumph of the perfect taste will never give its throne to anyone else. 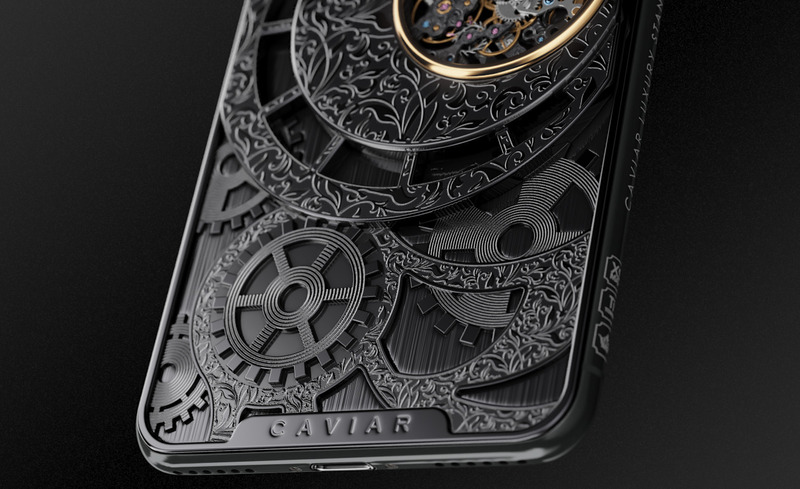 This is why Caviar designers address to it so often. 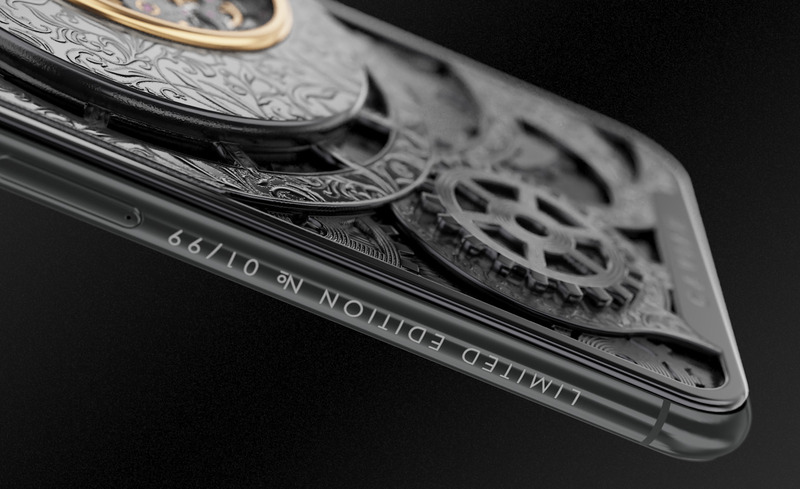 This time, the cult model — Grand Complications Skeleton – appears in the new image suggested by the majesty of black. 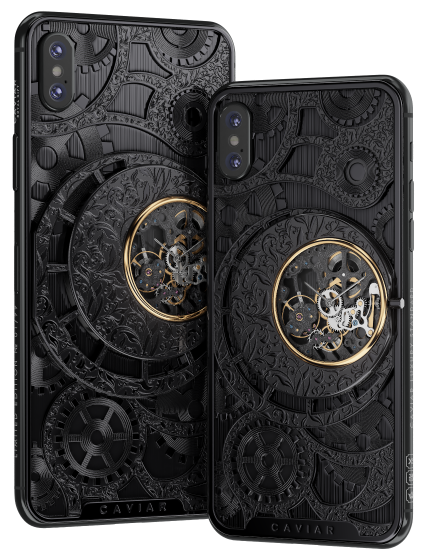 The complicated design of the smartphone, consisting of many figures repeating the image of gears and other elements of the clock mechanism is fully manufactured in black. 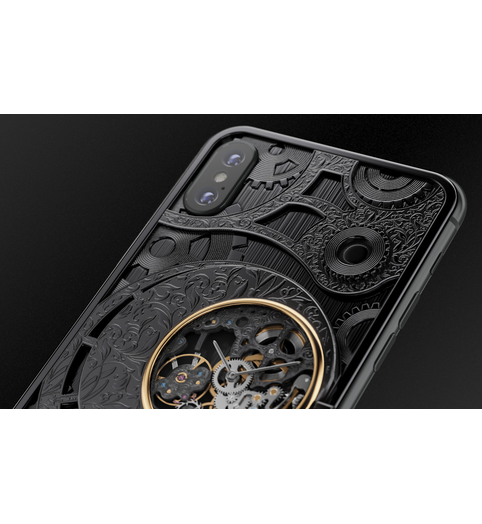 Only the clockwork mechanism that is open to views, shows up on the monochrome background. 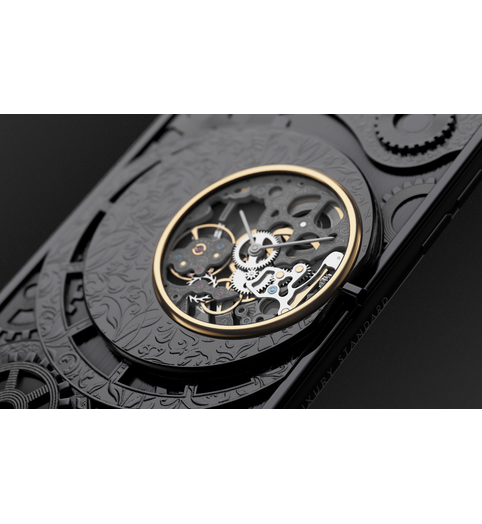 Such designers’ solution allowed, on the one hand, to make the image of the watch stricter and more modest, laconic, but on the other hand, it concentrated the attention to the maximum on the non-stop movement of the hands around the circle. 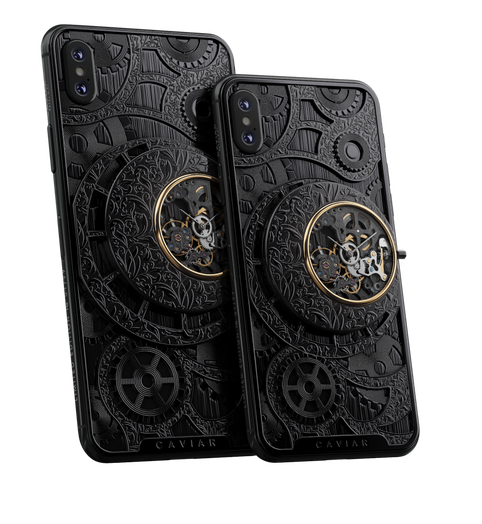 For those who address to the eternal solutions – the eternal postulates and values, this noble, strict design was created, where the time plays its solo coming from the mysterious and marvelous darkness to the foreground. 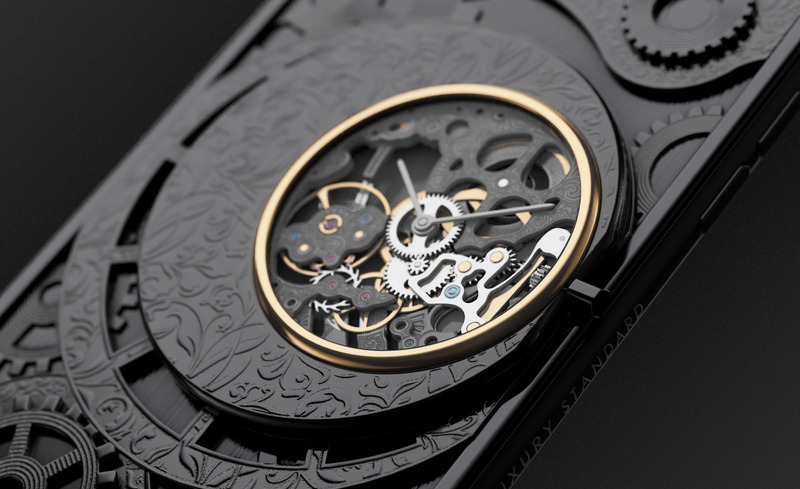 Modified on the base of the Swiss ETA Unitas 6498-1, mechanics, with a manual winding, 17 stones, makes 18 000 half-vibrations per hour; power reserve up to 30 hours. 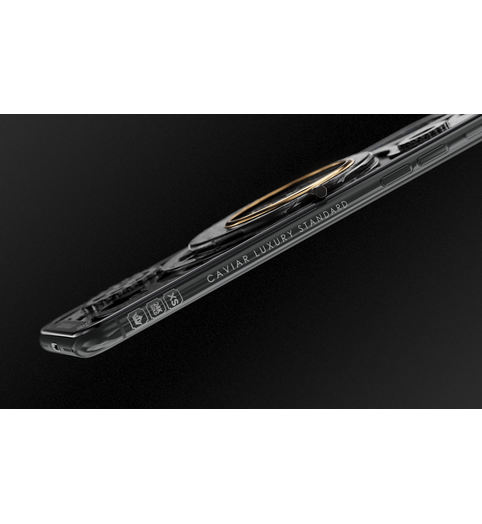 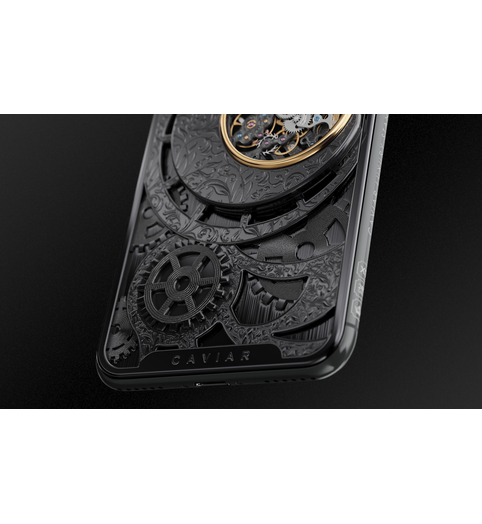 The mechanism is aesthetically modified by Caviar masters: the platinum is decorated with manual guilloche with the “Baroque curls” pattern; the mechanism’s elements are covered with double gold coating Double Electroplated (999 gold content, 7 microns). 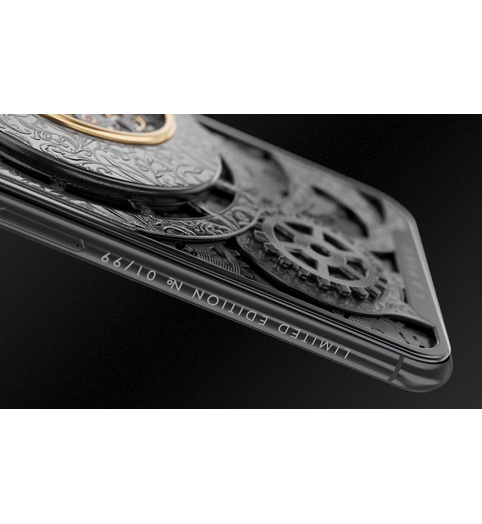 The skeletonized format allows viewing the work of the entire mechanism. 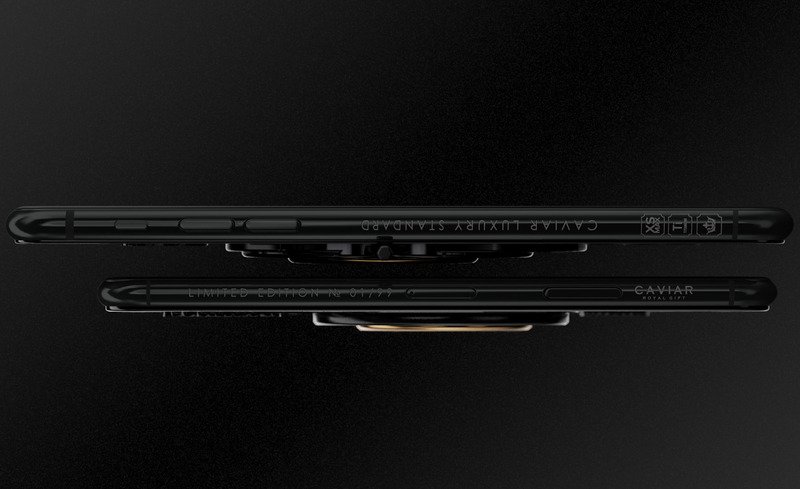 The face is protected with a sapphire glass. 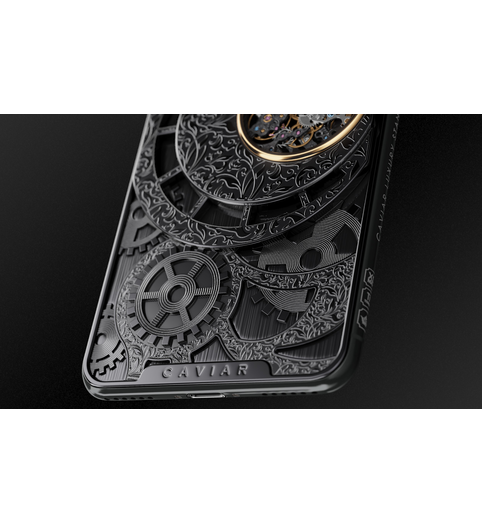 The body is decorated with the black engraved titanium and engraved decorative gears.